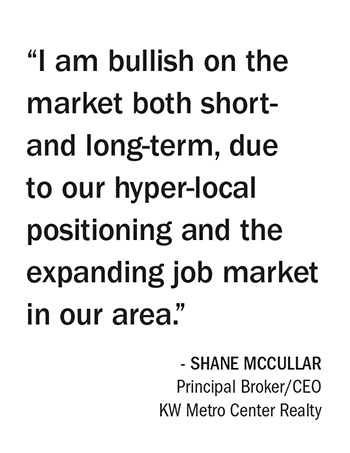 Right out of college, Shane McCullar wanted to be a REALTOR®. “But I couldn’t afford it,” he says. “I knew I needed a financial cushion to get started.” He accrued that cushion as an investment broker, then followed his heart into the real estate business, where he quickly worked his way into management, opening Chicago and Northern California offices for Keller Williams before launching his Keller Williams brokerage in Virginia in 2007. It was, as Charles Dickens wrote, “the best of times and the worst of times”—worst because the industry was headed into the worst slump in its history, best because it signaled the culmination of McCullar’s longtime dream. 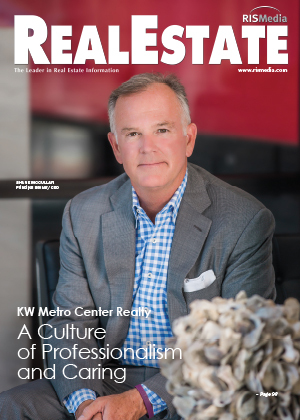 In this spotlight, McCullar shares his strategy for defying troubled times, his effort to make KW Metro Center Realty the powerhouse it is today, and his lifelong belief that hard work plus a passion for excellence is the best recipe for success. Barbara Pronin: Shane, walk us through your first years as operating principal, and how you grew that single office in Alexandria, Va., into KW Metro Center Realty. Shane McCullar:It was a growth experience, for sure—and pretty tough at the beginning, with 40 devoted agents fighting to survive when so many were leaving the industry. It took persistence and innovation, and a will to make it work, but we had two important things in our favor. First, we had the training and marketing support of the Keller Williams brand, which was no small advantage. Second, we learned to make the best of local opportunity, and to create opportunity where we could. As a result, once we found our footing, we knew we were unstoppable. In 2014, we acquired the Arlington and Tysons offices, and it was the merging of the three agencies that created KW Metro Center Realty. BP: How many agents does the firm have today, and how would you characterize your positioning in your market? SM:We are among the leading residential brokerages in our marketplace, with 635 agents in our three offices closing nearly 3,000 transactions and $1.5 billion in 2017. And I’m pleased to report that we’re trending toward a 14 percent increase this year, expecting to hit $1.7 billion in 2018. BP: What has been your approach to growth over the years, and what are your goals for expansion? SM:I am bullish on the market both short- and long-term, due to our hyper-local positioning and the expanding job market in our area. With the military, baseline business companies and the federal government right across the river in D.C.—which has never seen a housing decline—we have plenty of opportunity to grow. More recently, Facebook and Amazon have put Northern Virginia on their short list of locations to house their eastern expansion, creating another frenzy of activity and pushing housing into the forefront of the conversation. We are currently launching another office, and we plan to acquire two more by the end of this year. BP: Given the current state of your markets, what are your greatest challenges and opportunities? SM:Our markets are very robust, as I explained, and I believe that trend will continue, given the low interest-rate environment. Job opportunity has our unemployment rate at 3.2 percent, where it’s been hovering for some time. Our challenges have to do mostly with the inventory shortages, given low construction rates for some years. Fortunately, we are seeing new construction pick up, which is timely since we are experiencing an explosion of millennials taking jobs in D.C. and migrating into the Arlington area. As a group, these young people are very savvy about the buying process, and they come well prepared financially, which makes our job as a consultant a bit easier in some respects. BP: What are you doing differently to set your firm and its agents apart from the competition? SM:For openers, I credit the Keller Williams brand, which currently leads the field in terms of closed volume, closed units and agent count, despite the fact that we do no advertising. Our success comes largely from Keller Williams’ agent-centric model and a training system that is second to none. We lead the industry in technology, pushing the limits by allocating $1 billion toward technological advances, including artificial intelligence. Our goal is to equip our agents with the best in technology so they can stay focused on knowing their local markets and being a full-service advocate for their clients. Also, at KW Metro Center, we offer mandatory productivity coaching, with dedicated multimillion-dollar agents mentoring new agents. It’s a program designed to have high accountability mixed with real-world, real-time information. BP: What most attracts agents to your firm, and why do they stay? SM:Our world-class training and capped commission structure attracts them, but our culture is what keeps them loyal. We believe that being the largest comes with a responsibility to raise the standards for professionalism. No one person, no one transaction, is worth the reputation of our firm—ever. We also believe we should take care of those in need within our company—a belief that is executed through our KW Cares program at the national level, and also in each of our offices at the local level. With the approval of our Agent Leadership Council, we can respond within hours to provide help to any of our agents and their families—as we did in a very massive way after Hurricane Katrina, when so many were completely wiped out. We believe strongly in community involvement and philanthropy at the local level, and we raised millions to assist others after the flooding in Houston, and again after the flooding in Puerto Rico. Our agents come together often to host charitable fundraising events. BP: Speaking of company culture, how would you describe your leadership philosophy? SM:Our leadership philosophy is based on collaboration, transparency, the highest level of agent support and adding value to the agents and clients we interact with every day to ensure that they are able to build what we like to call “a life by design.” In fact, we have an eight-week course custom-designed to create those habits. We call it BOLD, which stands for “Business Objective, a Life by Design.” In short, we deliver on our value proposition by assisting our agents—and, by extension, our clients—in achieving their life goals. BP: Please elaborate on your approach to coaching and training. SM:We approach this on multiple levels, offering an abundance of in-person training on a daily and weekly basis in all three of our offices. As I mentioned, we have our top producers and office leaders teaching these events, which are open to any of our agents throughout the Metro Center area. Training Magazine named Keller Williams the No. 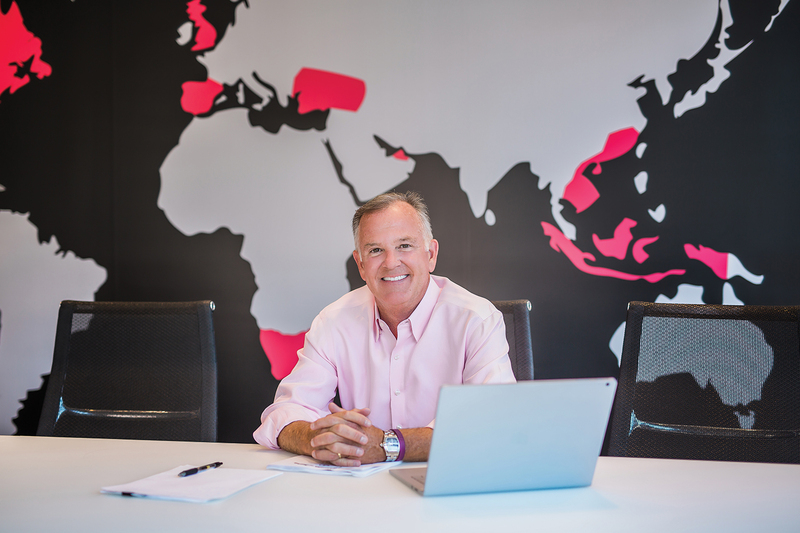 1 company for training in America, putting us ahead of Google, McDonald’s, Starbucks and a host of other Fortune 500 companies. That is an award we treasure, as it underlines our promise and ability to deliver on our value proposition. BP: What are some of your most innovative marketing strategies, and how are they helping you better connect with consumers? SM:We are proud of the branding of KW Metro Center, which is hyper-local and consistent in social media, in our web presence and in our signage—right down to our signature red sign post. But our best marketing strategy, really, is pouring personal and business development skills into our agents, which allows them to expand their vision and take their business to a higher level. We teach them how to build a true business, leveraging their systems, tools and training. That’s what it takes to build a successful and long-lasting business regardless of the current business climate. That’s a strategy I learned early, and which I aim to pass on to every agent. Our brand is highly professional in marketing and in every other way, so when a consumer works with a KW Metro Center agent, they can have ultimate peace of mind. BP: You’ve talked about technology, but how do you stay ahead of the curve on that, as well as in online marketing and social media? 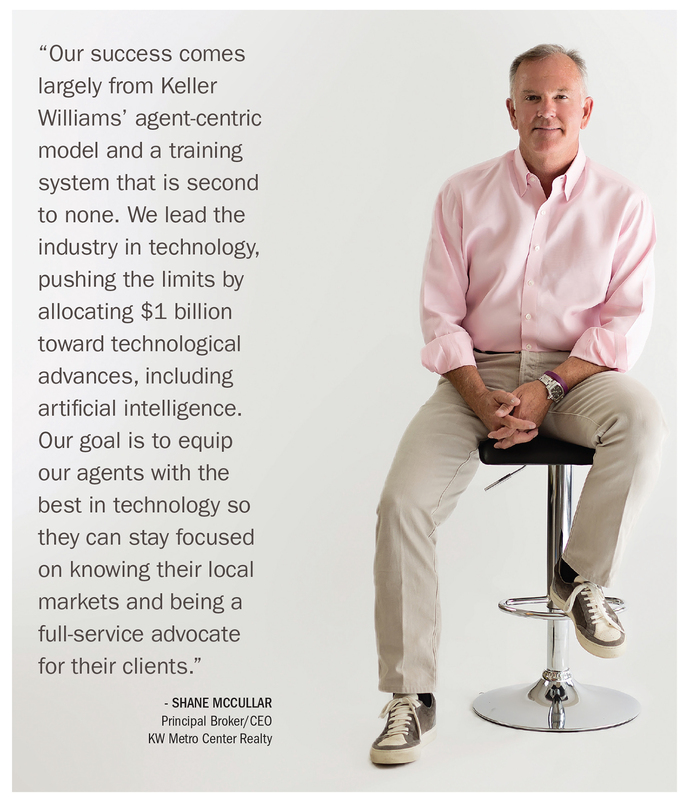 SM:Keller Williams recently added “becoming a technology-based company” to its mission statement. We will always help the consumer buy, sell and invest in real estate; however, we recognize the need to lead the industry in technology, and that has been a major focus of our international company and our founder, Gary Keller. He is a leader and innovator who was recently recognized as the “most influential person in real estate” in the Swanepoel Power 200 in 2017. BP: What’s on deck for the future of your firm? SM:First, massive growth in closed transactions and marketshare through having the most highly trained agents in the business backed by the most powerful and scalable technological tools. Second, the expansion of teams, both locally and nationally. Our plan is based very simply on giving and doing our best. The future of KW Metro Center rests on our greatest asset: our agents and our leadership teams. For more information, please visit www.kwmetrocenter.com. The post A Culture of Professionalism and Caring: Keller Williams Metro Center Realty appeared first on RISMedia.